Never lose your way again with the gold Compass necklace. 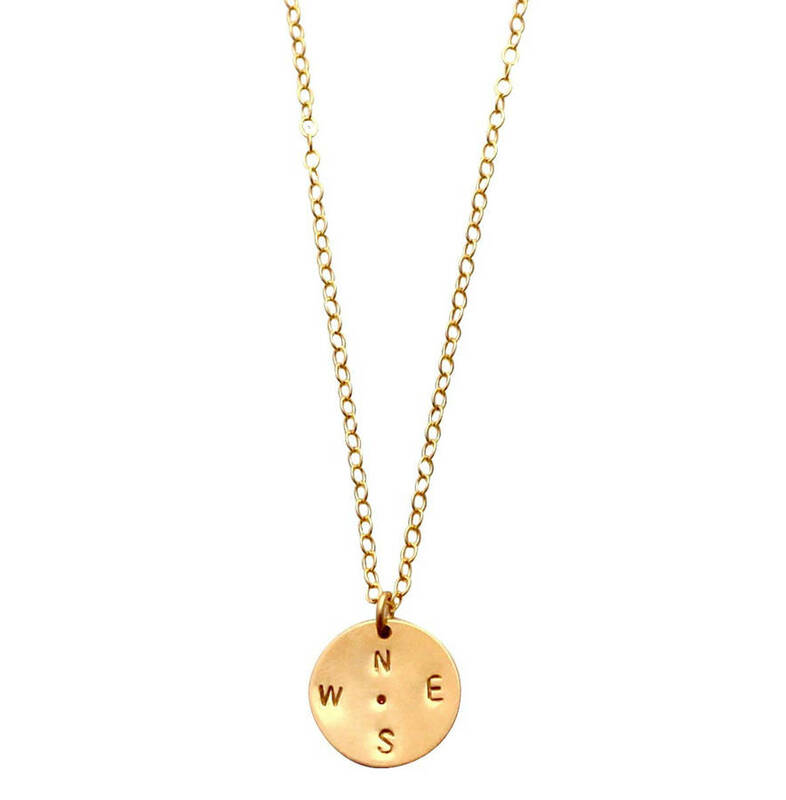 The gold Compass necklace features a disc pendant, hanging from a delicate gold filled chain. A thoughful and symbolic gift for a loved one embarking on a trip, a lover of travel, or a friend changing direction in their life. 41-46cm length necklace (adjustable length). 12mm pendant.